If you have listened to local radio in recent years, (certainly those stations geared to a more mature audience), you were hard pressed to miss commercials from a “large” insurance broker touting his ability to obtain “affordable” life insurance coverage for persons, notwithstanding whether you had various chronic health conditions, took medications, or were otherwise not in the best of shape. Recently, that same insurance broker has been running a new series of commercials clearly geared to divorced or divorcing spouses, who may be in the position of having to secure life insurance coverage for the benefit of their ex, maybe even more than one. In addition to making me chuckle, these commercials made me think about the issue of life insurance and divorce. In this blog post I will briefly discuss this issue as well as some real life considerations regarding same. It was generally recognized that support obligations, be they alimony or child support, would end upon the happening of certain sets of circumstances, including the death of the payor. Our Federal tax laws mandated that payments had to end upon death if they were to qualify as alimony. Even our state statutes, N.J.S.A. 2A:34-25, provided that alimony shall terminate upon the death of the payor spouse. However, over the last 50 years or so, the courts of this state, grappling with the financial impact a payor’s death would have upon a former spouse or children who were still dependent upon that support, have gradually expanded the extent some sort of “security”, including the maintaining of life insurance, would be authorized, if not required, to address same. The New Jersey Supreme Court in Grotsky v. Grotsky, 58 N.J. 354 (1971), chose to liberally interpret and apply the “reasonable security for the due observance” of alimony and child support orders language of N.J.S.A. 2A:34-23, to allow courts to require a payor parent to maintain life insurance on his life to secure the “due fulfillment of the [child] support ordered during their minority”. These sentiments were carried forward in regards to alimony in a case of Meerwarth v. Meerwarth, 128 N.J. Super. 285 (Ch. Div. 1974), aff’d 137 N.J. Super. 66 (App. Div. 1975), aff’d 71 N.J. 541 (1976). In that case, the former wife sought permission to obtain at her expense a life insurance policy on her ex-husband’s life and require his cooperation regarding same. The trial court denied this request, concluding that his right to privacy in not submitting himself to a physical examination outweighed any equitable basis or need for this insurance given the ex-wife’s favorable financial position. While both the Appellate Division and the Supreme Court affirmed this decision, the Supreme Court noted that under appropriate circumstances and for good cause, a court could order a divorced husband to cooperate in obtaining insurance on his life for the financial protection of his former wife and his children, citing to the “reasonable security” provision of N.J.S.A. 2A:34-23 for this authority. Finally, in the case of Davis v. Davis, 184 N.J. Super. 430 (App. Div. 1982), The Appellate Division affirmed an order of the trial court which required the payor to obtain life insurance on his life [or create a trust fund] for the benefit of his former spouse to “provide some measure of security… for the payment of alimony in the event of [payor’s] death”, noting that equity cried out for some relief given the formal wife’s precarious financial position, lack of equitable distribution, ill health, inability to work, etc. Clearly a court’s authority to require the maintenance of life insurance is discretionary, but as a practical matter virtually all divorce cases in which there is alimony and/or child support obligation, whether by decree or agreement, include some sort of life insurance requirement or other means to “secure” that support in the event of a payor’s death. Should they? One of the underlying purposes of support orders is to allow the family to maintain, to the extent reasonable, the marital lifestyle after a divorce, and also to minimize a divorce’s impact upon the family, children in particular. What if for health, financial or philosophic reasons the family did not have life insurance or maintained a modest level? What if they have elected to secure their future needs by accumulating savings, investments or other assets, rather than insurance? If the breadwinner died during the marriage, the family would have to make due going forward having chosen to be “self-insured” so to speak as being their marital life style. What if unlike Davis and like the spouse in Meerwarth, there was an equitable distribution of those accumulated assets in the divorce? Clearly while the court’s authority to require the maintaining of life insurance or other means to secure support is unquestioned, it is respectfully submitted that each case, each set of circumstances, is different, and that such obligations should not be mechanistically or routinely imposed. This gets me back to the commercials mentioned earlier. Whether a person qualifies for life insurance, and if so, the cost of same, is largely a product of the insured’s age, health, and other factors. 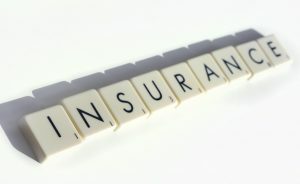 If you already have insurance policies in place, whether personally or through employment, these are of lesser concern. However, what if this isn’t the case, and you are being required to obtain life insurance or to obtain an increased level of that coverage in a divorce matter; whether for the benefit of your spouse, children or both? The older you are and the more health problems you may have could render you uninsurable, or make the premiums so cost-prohibitive that their payment would be near to impossible. What happens then? N.J.S.A. 2A:34-23 authorizes courts to create “trusts or other security devices”, as an aspect of reasonable security, although the statutory language would seem to limit same to the assurance for the payment of reasonably foreseeable medical and educational expenses. However our courts have clearly expanded the scope of the remedies it could employ to provide this reasonable security. As noted earlier, the court in Davis had afforded the payor spouse the option of establishing a trust fund in lieu of obtaining life insurance. In Jacobitti v. Jacobitti, 135 N.J. 575 (1994), the New Jersey Supreme Court, after interpreting the various statutory provisions, affirmed the establishment and use of trusts to secure support after the death of the payor. Courts have also imposed constructive trusts on other assets or benefits (Sedarous v. Sedarous, 285 N.J. Super. 316 (App. Div. 1995)), or have even required a payor to designate his former spouse as a survivor to his pension benefits. White v. White, 284 N.J. Super. 300 (Ch. Div. 1994), aff’d 309 N.J. Super. 139 (App. Div. 1996). If a payor spouse had failed to maintain the life insurance or an otherwise directed security at the time of his or her death, the deceased spouse’s estate may be subject to liability to the former spouse for the amount he/she had failed to maintain. Flicker vs. Chenitz, 55 N.J. Super. 273 (App. Div. 1959); Maquiling v. Maquiling Estate, 211 N.J. Super. 69 (Law Div. 1986); Della Terza v. Estate of Della Terza, 276 N.J. Super. 46 (App. Div. 1994). Again, the court’s authority to require the maintenance of life insurance or the establishment of other means to secure an alimony or child support obligation is well established at this juncture. However, it is an issue which has complexities, not only as to its application in a given case, but in determining the nature, level and extent of same. Along with other financial professionals, let the attorneys at James P. Yudes, P.C. help navigate you through this process.